There are times in our lives that are more difficult than others. For some people, those hard times can lead them to fall behind in their bills. When that happens, it can feel like the creditors will never stop harassing you. But you have the right to live without harassment every day of your life. The federal government has established a legal framework within which debt collectors are permitted to operate called the Fair Debt Collection Practices Act (FDCPA). At the Washington, D.C. law offices of Paulson & Nace, PLLC, we understand how overwhelming it can feel when debt collectors start calling. When you feel as if you are being harassed or threatened, call our consumer protection attorney, so we can start to fight back on your behalf. What rights do I have as a consumer dealing with debt collectors under the FDCPA? No calls before 8:00 am or after 9:00 pm. Debt collectors who are found guilty of harassing people may be subject to a fine under the FDCPA. If a debt collector unlawfully continues to do any of these things, however, you may be able to bring a lawsuit for harassment. At Paulson & Nace, we have the skills, resources and experience you want to handle the challenges of a federal lawsuit against those who are harassing you. If you believe that a debt collector is unlawfully harassing you, you can contact the Office of the Attorney General’s Consumer Protection Hotline: (202)442-9828 or send an email to: consumer.protection@dc.gov. You will also find a consumer complaint form on the OAG’s website. Your next step is to contact a Washington, D.C. consumer protection attorney at Paulson & Nace who will assert and protect your rights. 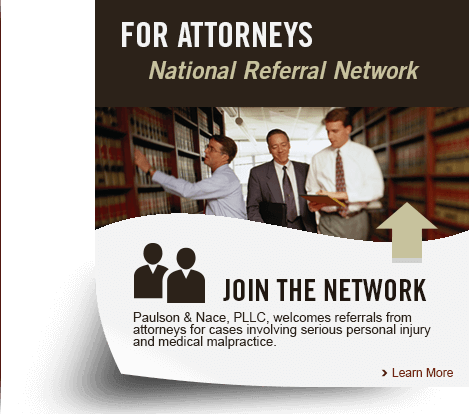 At Paulson & Nace, PLLC we protect the rights of our clients and fight for justice on their behalf. If you are being harassed by debt collectors, we can help you put an end to it once and for all. Please call 202-930-0292 or fill out our contact form to speak with a skilled Washington, D.C. consumer protection lawyer about your needs.